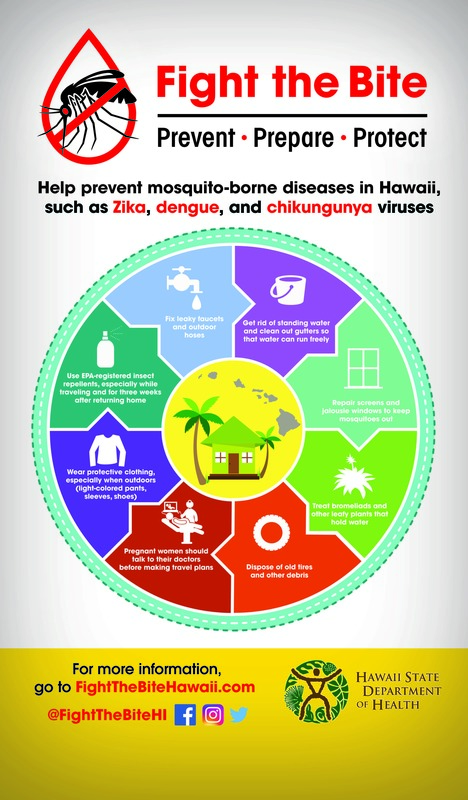 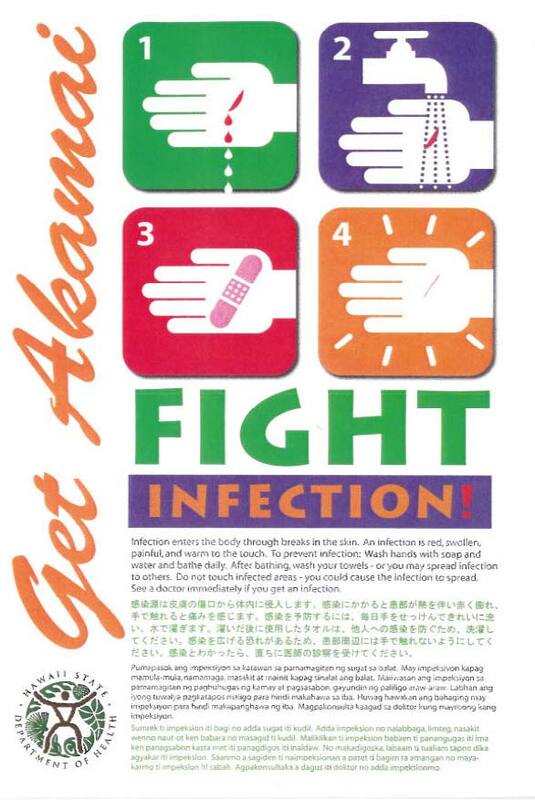 The Disease Outbreak Control Division (DOCD) updates and maintains a number of information materials, including fliers, factsheets, brochures, etc. 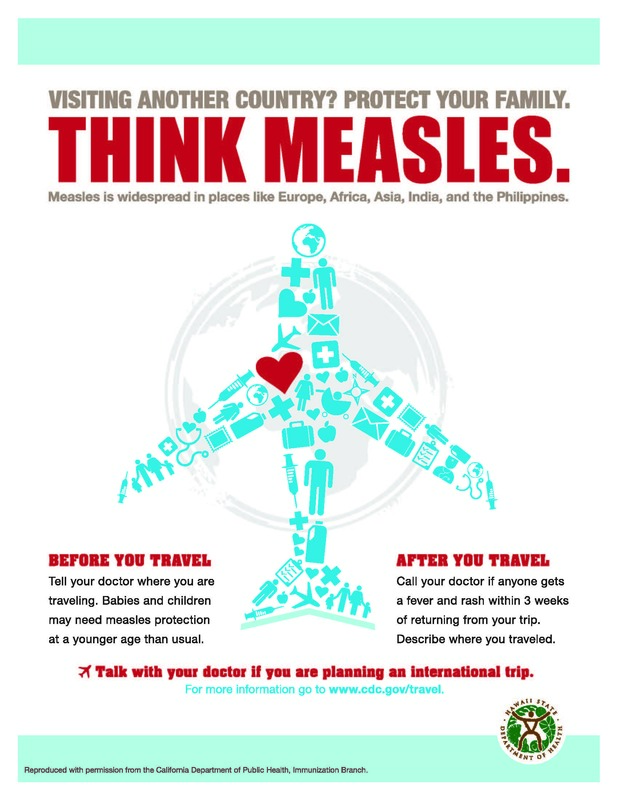 Topics include diseases, vaccination and immunization, and others. If you would like to suggest an idea for a brochure, please contact us. 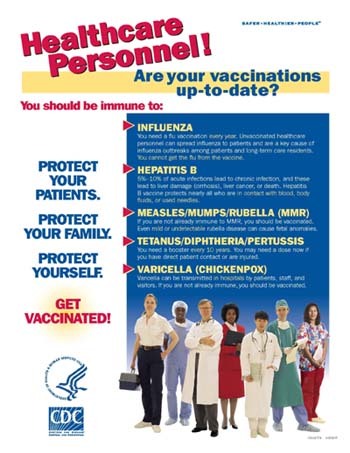 All items listed on the Immunization & Vaccination Resource Materials Order Form (Download PDF or Word Doc) are available free of charge. 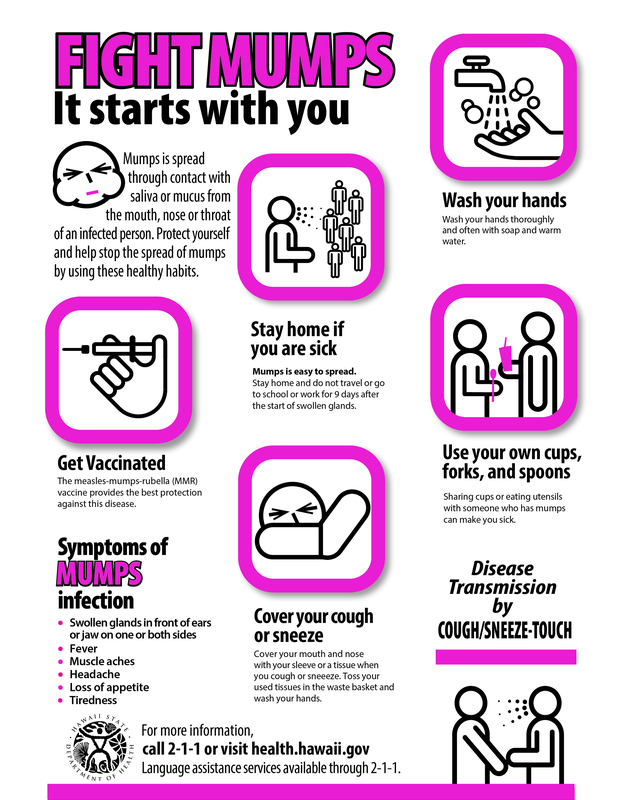 Please print the form and mark the items you wish to order. 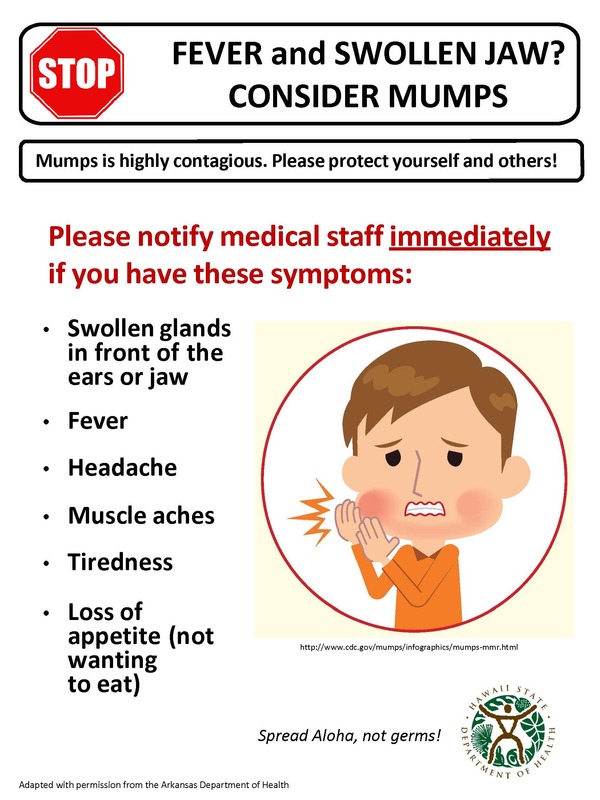 Requests will be processed in the order in which they are received. 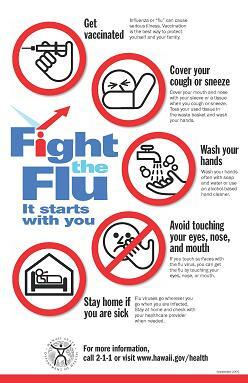 For assistance in completing order forms, please call 586-8300. Calls from the neighbor islands are toll-free at 1-800-933-4832. 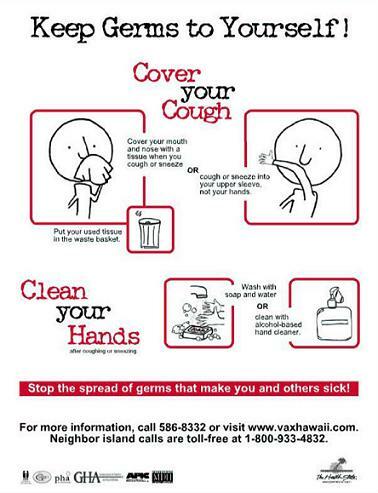 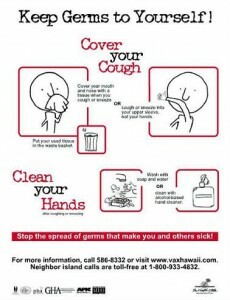 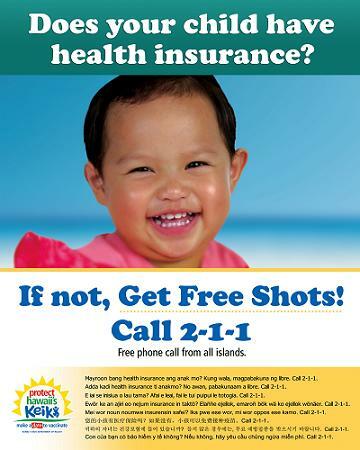 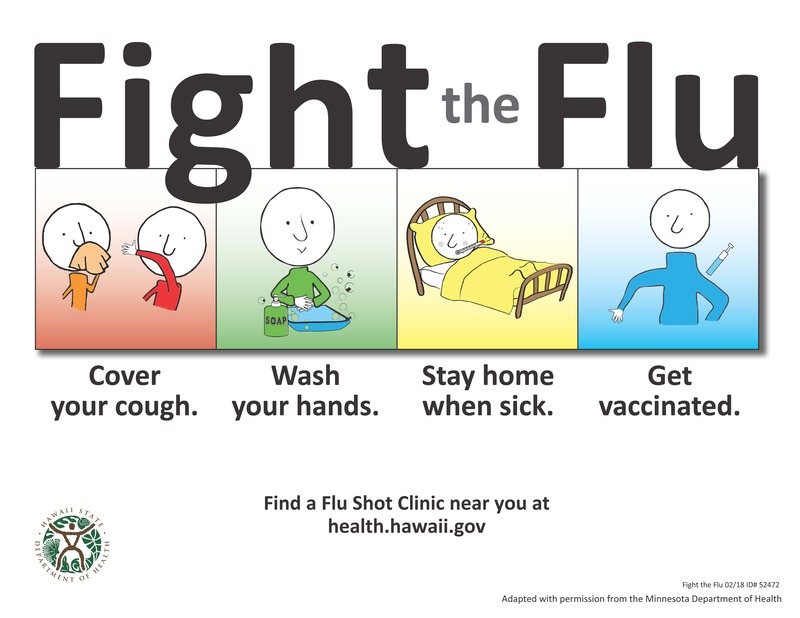 Send completed order form by Fax: (808) 586-8347 (Attention: Immunization Branch). Available only by download for desktop printing. 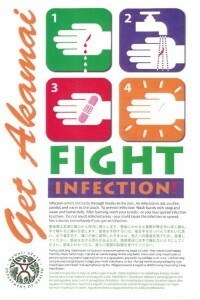 Translations available only by download for desktop printing. Healthcare Personnel! 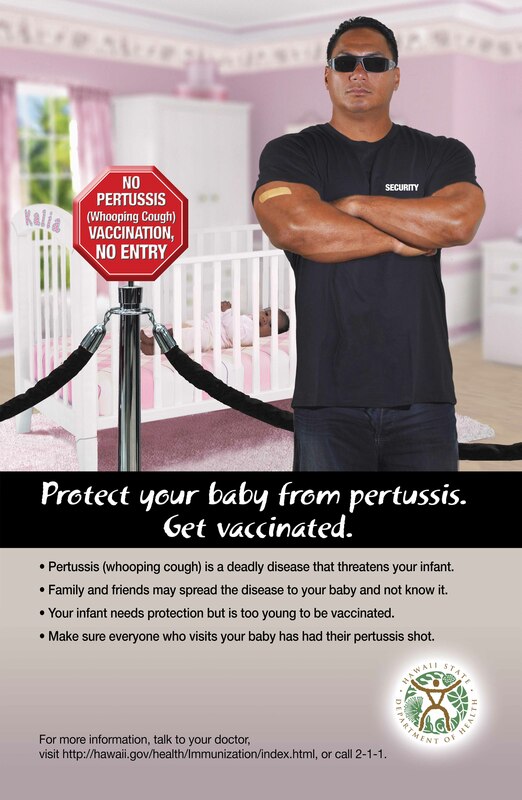 Are your vaccinations up-to-date? 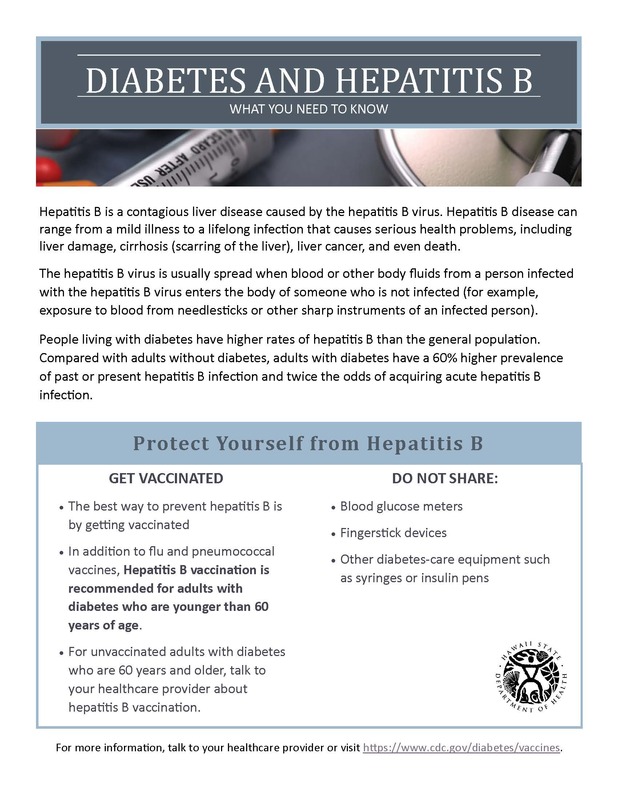 A fact sheet about hepatitis B disease and vaccination for people living with diabetes. 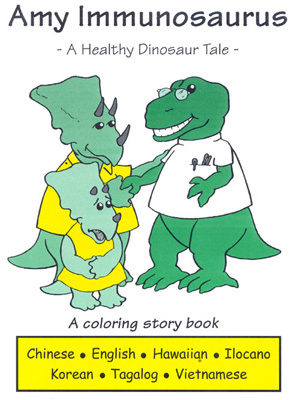 A full-color brochure about the hepatitis B virus and vaccine. 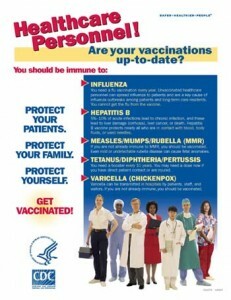 An easy-to-read leaflet highlighting the recommended immunizations for healthcare personnel. 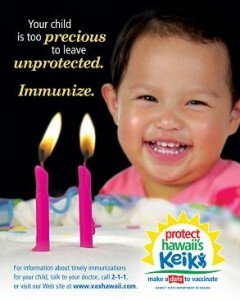 A full-color brochure on the importance of immunizations, including pictures of vaccine preventable diseases and translations in Chinese, Chuukese, Ilocano, 한국어 Korean, Marshallese, Samoan, Español Spanish, Tagalog, and Tiếng Việt Vietnamese. 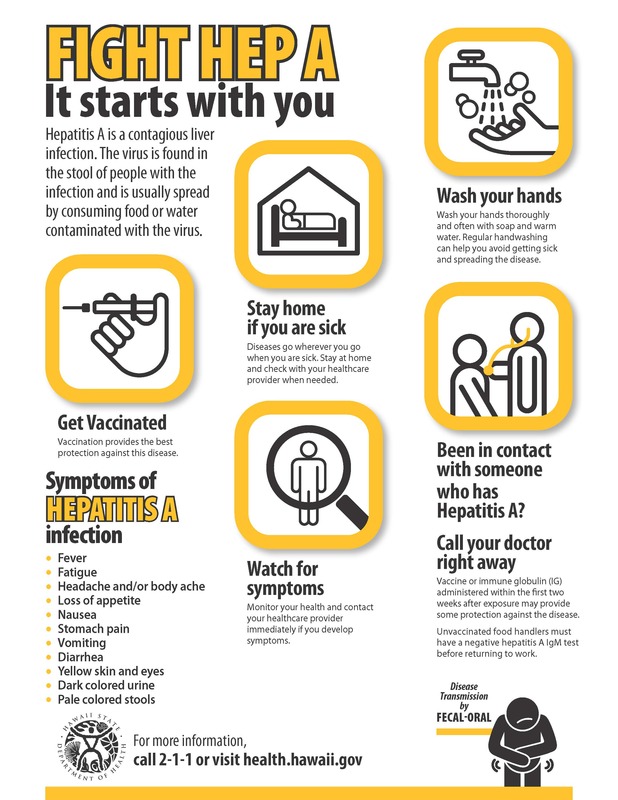 A full-color brochure on Hepatitis B and the importance of immunization. 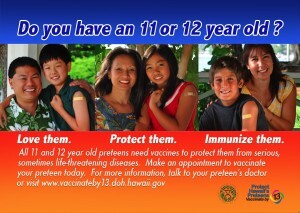 Keep Preteens & Teens Up-To-Date, Vaccinate! 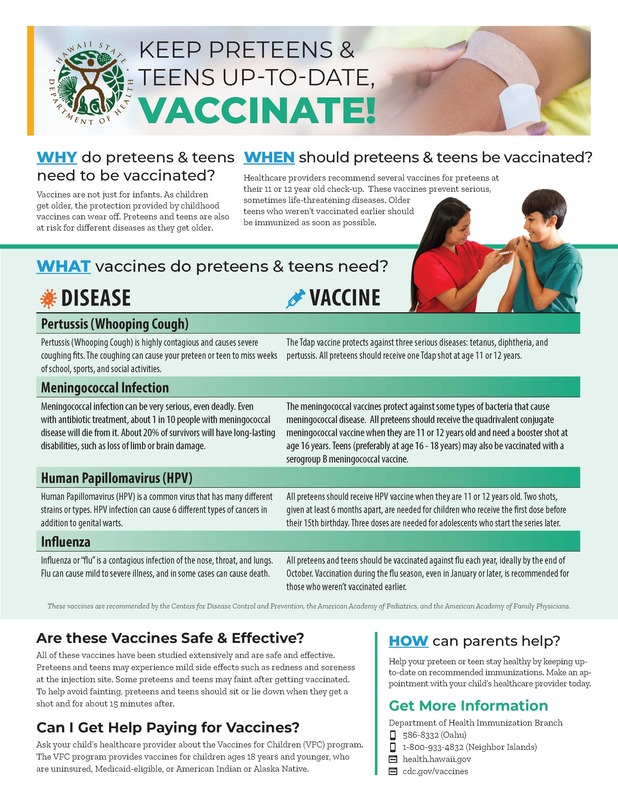 A full-color fact sheet on the importance of immunizing preteens and teens, the vaccines they should receive, and the diseases these vaccines protect against. 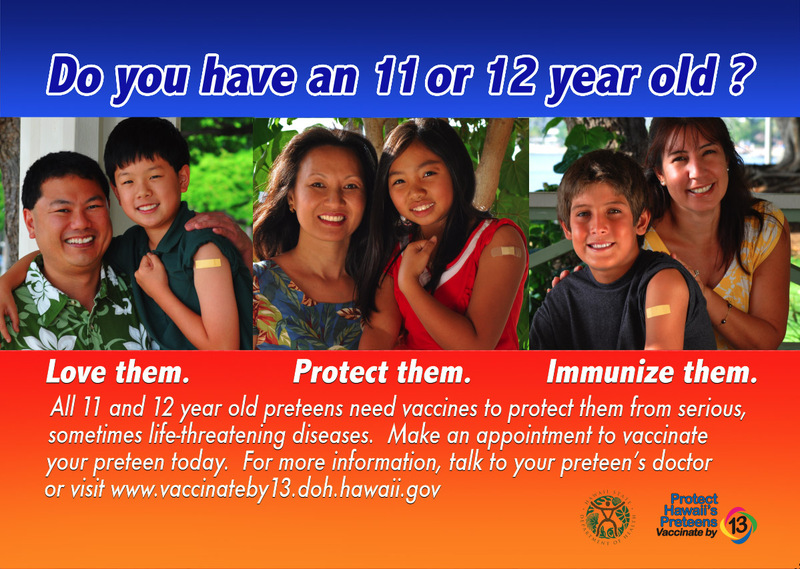 Do you have an 11 or 12 year old?